Between the best real estate investment opportunities in Dubai is the properties for sale in Jumeirah Lake Towers. 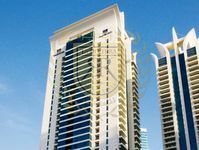 Standing as one of the most prominent urban signatures of Dubai, Jumeirah Lake Towers bounds with a huge number of properties varying in specifications and type. The development principally teems with apartments including one-, two-, three-, and four-bedroom apartments. It has also studios, villas, and retail spaces. Jumeirah Lake Towers is one of Dubai’s largest developments, it consists of 80 towers scattered throughout the artificial islands of Al Mas West, Al Mast East, and JLT Lake. The towers are organized in 26 clusters of three named after the English alphabet. Besides residential properties, Jumeirah Lake Towers has world class hotels of the fanciest brands which are the Bonningtion Lake Towers, Armada Blue Bay hotel, and Movenpick Jumeirah Lake Towers. All hotels have dazzling views of the Arabian Gulf, wide set of amenities, and fancy incomparable designs. 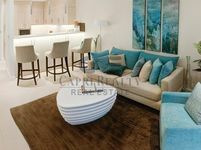 Being an artificial island off Dubai’s coast and in a close proximity to its top hotspots, living in Jumeirah Lake Towers is definitely an exotic experience. The development is easily accessible either through driving or public transportation, it’s well backed with facilities, and has a wide set of residential options. 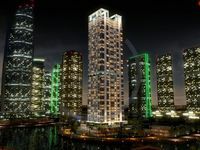 Dubai’s top demanded residential area, Jumeirah Lake Towers, has a wide range of properties for sale. The majority of the area’s properties is apartments varying in size and quality. There are furnished and semi furnished apartments available for sale. There are also hotel apartments which feature full hospitality services like laundry, housekeeping, maintenance, and other. Most apartments are attached with various amenities like spas, swimming pools, sauna, steam baths, fitness gyms, and other. To achieve residents’ total convenience, Jumeirah Lake Towers has many facilities including health care centers like Armada Medical Center and Life Medical Center. There is Dr K Medical Center located in cluster F and Optimum Diagnostic Clinic. Moreover, there are two universities in Jumeirah Lake Towers which are Saint Petersburg University of Economics and Finance and Synergy University Dubai Campus. There are also a number of fire stations, police stations, schools, mosques, and retail centers. Securing a high rental revenue every year is one of the most significant perks generated from purchasing a property in Jumeirah Lake Towers. 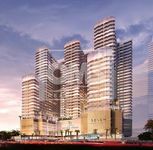 It’s one of the most demanded areas thanks to its central location surrounded by active business venues and hotspots. The price appreciation of Jumeirah Lake Towers properties takes place at fast rate due to the high demand. A property’s value in this area could increase by 10% to 12% a year. Above all that, it’s wise to buy a property in Dubai as it means taking part in the city’s growth and transformation to one of the busiest business hubs in the world. 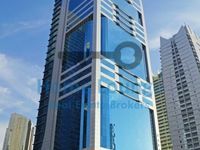 Finding a convenient property for sale in Jumeirah Lake Towers was made easier by Just Property that has specially dedicated lists for all types of properties in this area. The website caretakers arranged the lists and made them clear for users in order to facilitate the search process and make it way easier. There is also a fully dedicated team of sales professionals to take clients’ calls and respond to their queries, they are available around the hour to offer swift services.